Robots coming for our jobs? In the 50’s, that might’ve felt like something you’d see in a black and white horror film, while sitting in a dingy cinema with a bucket of popcorn. In 2019, it’s a real threat. 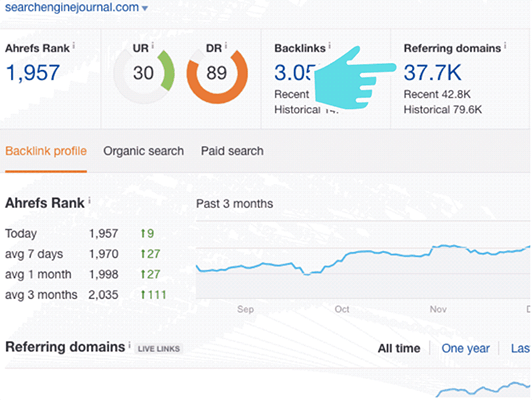 The majority of backlinks don’t actually drive referral traffic. But only 500 of them are sending real visitors. You know that it’s a nasty world out there with malicious actors just itching to get their dirty hands on your WordPress website. You also know that you should probably be doing “something” to keep your WordPress site safe from all those baddies. If you want your WordPress site to rank well in search engines like Google, you need a WordPress SEO plugin. Out of the box, WordPress does a lot of things well…but SEO isn’t one of them. That’s why some of the most popular plugins at WordPress.org help with SEO. Are you looking for tools to monitor your social media presence? Or want an easy way to keep an eye on your competitors? In this article, you’ll discover 11 powerful social media monitoring tools. In 2018, we worked hard to publish a load of helpful articles for you. Note: This post has been updated for 2019. Want to find a WordPress landing page plugin that makes it easy to create high converting pages? That also look great?